The Cabrillo Beach Pier is a 1200 foot long concrete structure that was built in 1969 and remodeled in 1988. 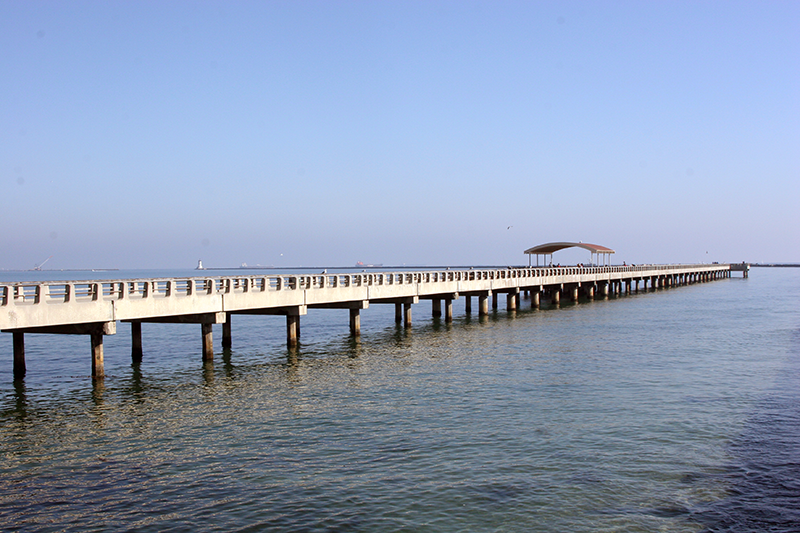 The pier is relatively low to the water and is suitable for anglers of all ages and abilities. The pier is easily accessed with assistive devices. Depending on the weather and time of year, fishing can be good with a variety of species caught. No fishing license is required on this public pier. The pier is excellent for an evening stroll or a walk during the day. Picnic tables and a beach are nearby. Parking is available at Cabrillo Beach near the pier. The parking lot opens at 5:30 AM and closes at 10:30 PM. Parking is free for the first 20 minutes and then is $1.00/hr to a maximum of $9.00 per day. Payment is made in cash or with a credit card at the parking kiosks.